Does Potassium Give You Energy? Healthy food contains natural nutrition, dietary fiber, heart-healthy oils and muscle-building protein not found in processed food that has been loaded down with sodium, preservatives and sugar. Choose whole, fresh foods, and you will get all the vitamins, minerals and other nutrients needed for proper cell function, lasting energy and strong bones. About half of your dietary calories in a healthy diet should come from carbohydrates. Good sources of healthy carbs are whole-grain foods, fresh fruits and vegetables. Whole-grain breads, cereals and pastas, as well as brown rice, contain complex carbs that supply long-lasting energy, because they take longer for your body to process. Fruits and veggies supply quick energy with simple carbs that must be renewed daily, and they don't have the empty calories, sugars and sodium found in processed snacks. You need plenty of fiber for proper digestion, which is found in fresh produce as well as whole-grain foods. MayoClinic.com states that for a 2000 calories-per-day diet, you need about 38 g of fiber to stimulate bowel function and keep your digestive system healthy. Processed foods and refined-flour bread and cereal products remove healthy dietary fiber during milling. Even if white bread and processed cereals state they are enriched with extra vitamins and minerals, they still lack necessary fiber. Good protein will supply the building blocks for strong muscles without endangering your health with too much cholesterol-building fat. The Harvard School of Public Health states that you will get plenty of protein from fish with much less fat than that found in red meat. Other healthy, low-fat sources of protein include poultry, nuts, seeds and legumes. Fatty fish such as salmon, trout and herring also supply heart-healthy omega-3 fatty acids. Get your vitamins and minerals in abundance by eating fresh fruit and veggies. MayoClinic.com states that by beginning a food shopping trip in the fresh produce aisle, you will prioritize full nutrition. 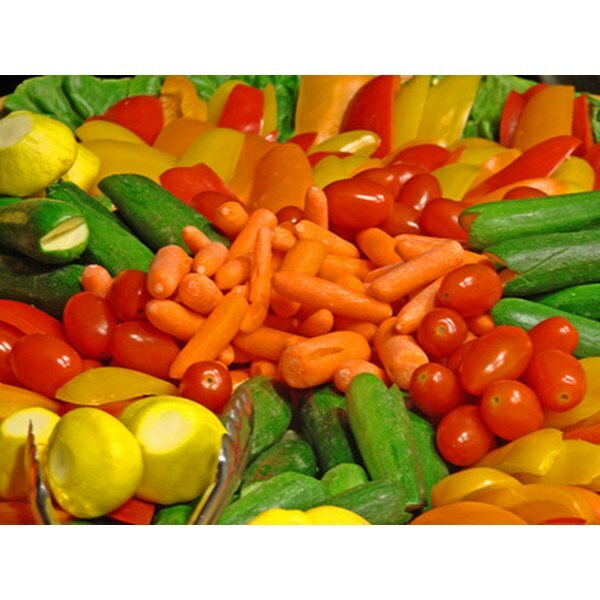 Select a full spectrum of colors in fruits and veggies, and you will get a wide variety of vitamins and minerals. Fresh, whole foods are a better source of nutrition, water-soluble vitamins and minerals than relying on artificial supplements. Low-fat dairy products supply fat-soluble vitamins A, K, D and E as well as calcium for strong bones.